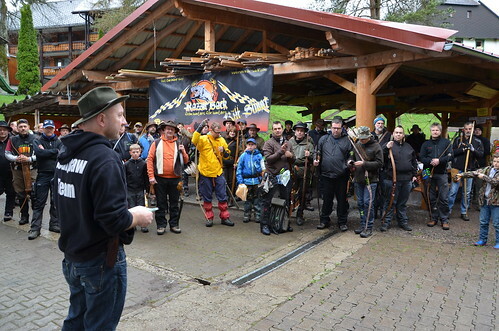 It has meanwhile become a tradition that every year on the first weekend in May (3rd to 4th May, 2014 ), the Kill Bonus Tournament takes place in the Black Forest. Henry Bodnik creates every shooting situation personally and therefore the shots command a high level of attention from the shooters. Shots are taken at hunting distances and only „kill-hits“ are counted; body shots count as minus points. The best men and women of all classes then compete against one another on Sunday in a final shoot-out. 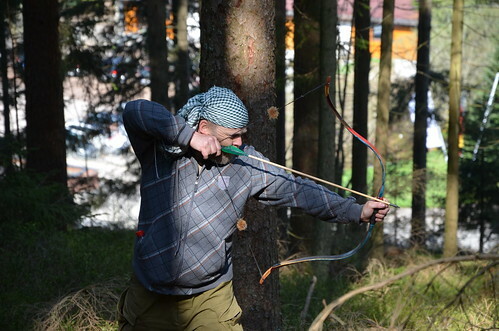 In recent years, many national and international shooters found their way to Eisenbach, Black Forest, because, after all, the winners will be rewarded with a 1000 Euro bonus! The so-called “Real Kill Shoot“ determines the best broadhead shooters with a shot from the treestand onto the dummy of a boar. The whole thing, of course, is moderated by Henry! We are all looking forward very much to this year’s tournament – for the exact please look at the attached announcement of the tournament. Now all you have to do is quickly subscribe by writing an email to kill-turnier@bearpaw-blog.de, because the berths are limited.